Even the most ardent republican might have found sympathy for the Queen as her diamond jubilee concert at Buckingham Palace packed in as many acts as possible from her 60 year reign. The monarch did her best to muster a smile as Gary Barlow’s hotch-potch collection of the old, the bland and the perky took turns at being royal jesters. Understandably perhaps, the Queen followed the habit of many a gig-going hipster who misses the support acts, by skipping the first 90 minutes of the concert in her honour. The "support acts" on this occasion included Tom Jones, Annie Lennox, Cliff Richard and Grace Jones. She also missed Ed Sheeran, one of the younger generation’s representatives, but greeted him warmly backstage (although it’s possible she may have mistaken him for Prince Harry). 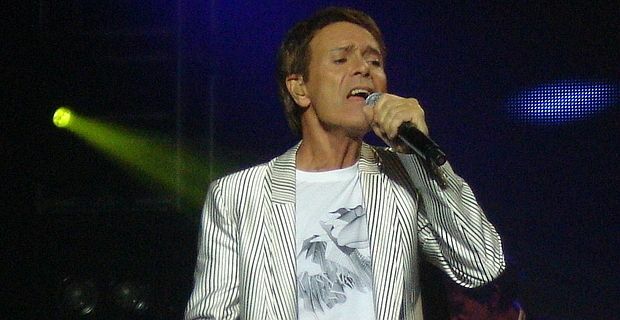 Cliff Richard played a medley of his hits. Comedian Al Murray tweeted that it was the same set Sir Cliff had played at Queen Victoria’s jubilee. Fittingly, rock’s other knights of the realm Sir Elton John and Sir Paul McCartney were among the most enthusiastic performers. Elton belied his recent illness with I’m Still Standing, a song that could have been written for the long-serving monarch. McCartney, who first played live for the Queen half a century ago, offered Beatles classics Magical Mystery Tour, All My Loving and Let It Be, before rounding off the show with a singalong version of the worst Beatles song of all time Ob-La-Di, Ob-La-Da. Prince Philip might have been disappointed that illness prevented him seeing the extravaganza. Then again, he might not . . .